NPR's Frank Langfitt filed this postcard. FRANK LANGFITT, BYLINE: One of the first things you notice when you walk into the store house is a waterfall bathed in blue light, representing the water from the nearby Wicklow Mountains that Guinness uses to brew its stout. The store house is a cross between a museum and an interactive marketing campaign. Upstairs, ingredients are vaporized so visitors can smell the flavors individually. COLM O'CONNOR: This one here is the roasted barley. LANGFITT: Colm O'Connor is a beer specialist. O'CONNOR: This is the hops that you see there. I'm getting slightly grassy notes. Floral - it would definitely remind you of the garden. In terms of the flavor, this is going to give a bitterness. LANGFITT: Beyond ingredients and recipes, Guinness used aggressive exporting and clever marketing to become a global brand. In the '50s, the company's managing director, Hugh Beaver, was on a hunting trip. And he got into an argument with his hosts over which game bird was the world's fastest. O'Connor says it was the sort of debate you hear in pubs across Ireland. O'CONNOR: And a kind of marketing lightbulb went off in his head. He said, you know what we should do? Maybe we'll sort of formulate some kind of compendium of superlatives that we can place behind the bar that will resolve all of these pub debates, and it'll be a nice bit of free PR. We'll put the Guinness name on it. LANGFITT: And so the "Guinness Book Of Records" was born. 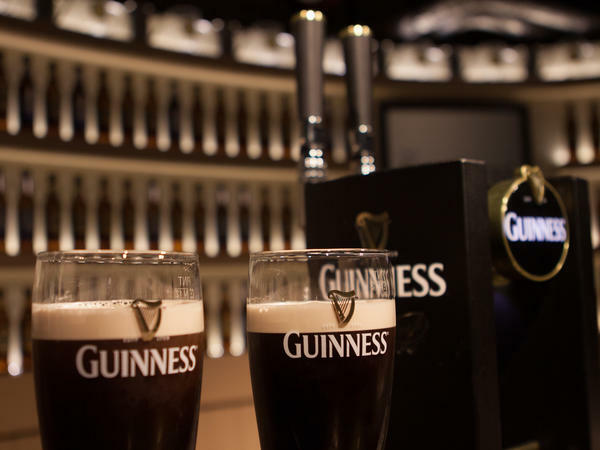 Another thing that sets Guinness apart is the trademark pour. It's a two-step process that takes nearly two minutes. Colm O'Connor explains. O'CONNOR: The reason why we pour a pint of Guinness in two parts is that if you were to pour it in one fell swoop, the head would be too big. LANGFITT: O'connor says the beer, which uses nitrogen that provides the creamy head, needs time to settle. He instructs me to tilt the glass at 45 degrees, fill it up partway and then stop. O'CONNOR: You need to be patient at this stage, OK? What I would suggest - you look elsewhere. Don't look at the pint. LANGFITT: Once the head settles, O'Connor tells me to flip the tap in the other direction, releasing more beer but with fewer bubbles. O'CONNOR: Just a little bit more, tiny bit more. Yeah, great stuff. So you see that little lip? O'CONNOR: It's like a little shadow forming there at the top. LANGFITT: Although, if we were in a real Irish pub, it would overflow and then end up on the floor (laughter). O'CONNOR: No, no. That wouldn't be a real Irish pub at all. No, no, no. That's called alcohol abuse in Ireland, you know? LANGFITT: Guinness is still the world's best-known stout. 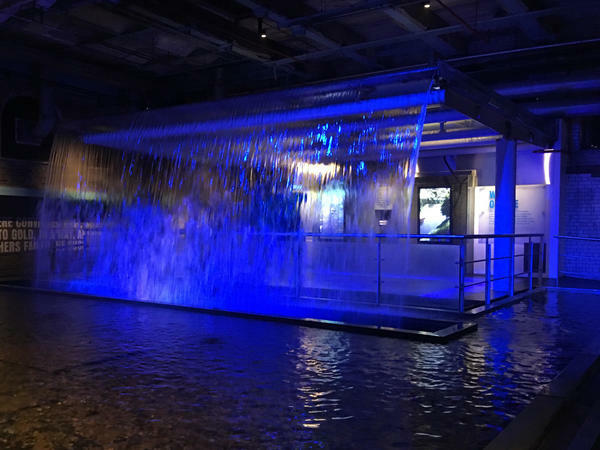 But sales have been generally flat over the past five years, which means the store house serves as an important tool for marketing to the more than 1 million people who visit each year. Frank Langfitt, NPR News, Dublin. (SOUNDBITE OF ZOE COMWAY AND JOHN MCINTYRE'S "KILKENNY STATION-LLALY"S FANCY") Transcript provided by NPR, Copyright NPR.